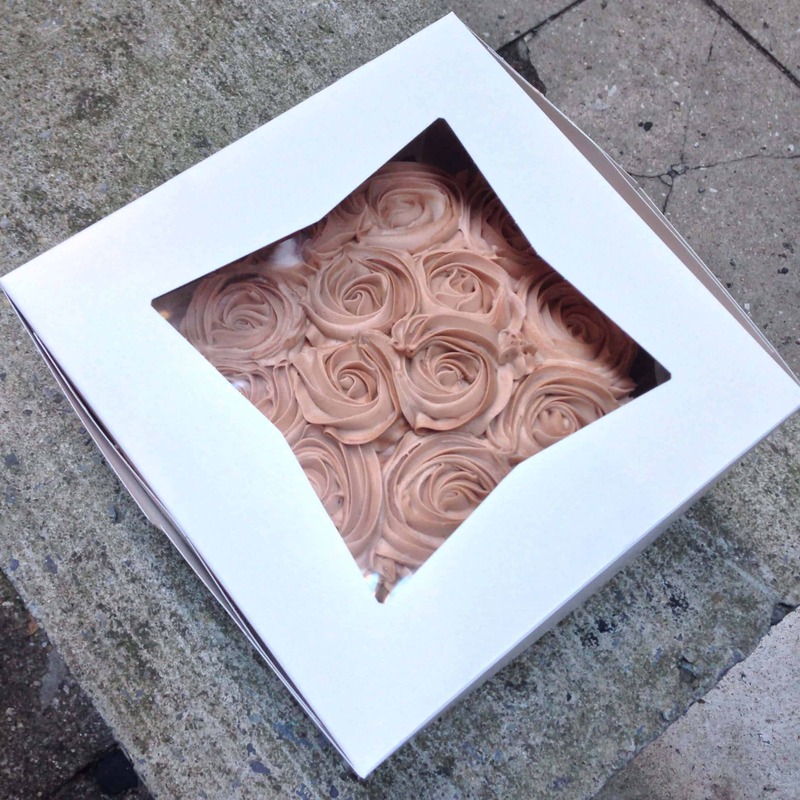 Chelsweets received it’s first cake order!! A chocolate cake was requested, so I decided to use my favorite chocolate cake base, and add in some Nutella. 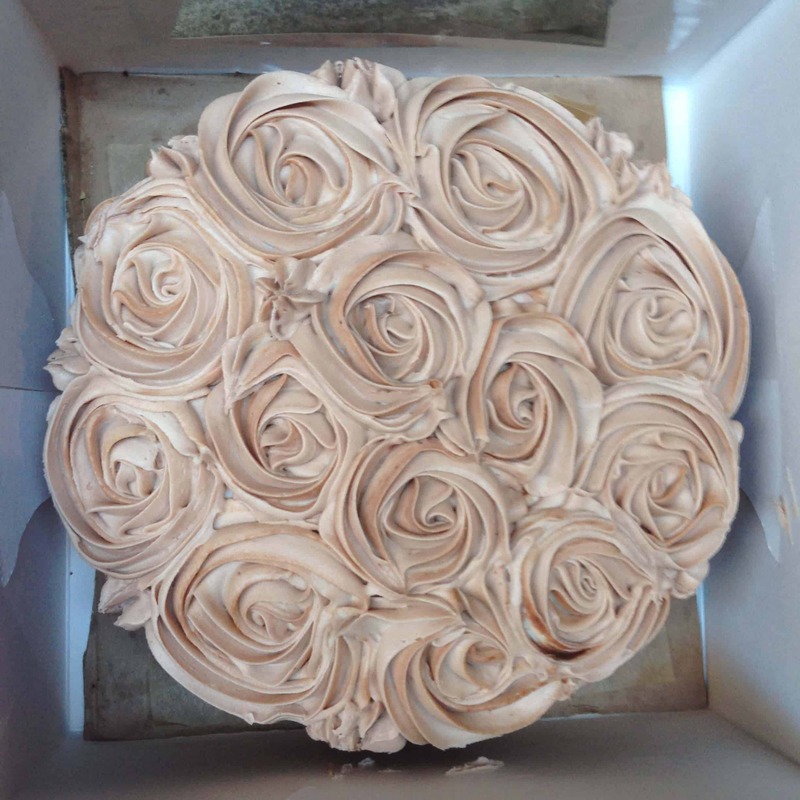 I filled the cake with a Nutella nougat and toasted hazelnuts, frosted it with a chocolate buttercream, and topped the cake with Nutella buttercream roses. Preheat oven to 350 degrees F. Grease four 9-inch round cake pans, and line the bottoms with rounds of parchment paper. Divide the batter evenly among prepared pans (I chose to make four layers, but the number of layers is easily altered). Bake for 20 minutes, until a toothpick inserted into the center of one of the cakes comes out almost clean (with a few moist crumbs). Cool the cakes (in the pans) on wire racks for 20 minutes, then carefully turn them out onto cooling racks to cool completely. While the cakes cool, make the nougat. Beat the butter on medium-high speed until fluffy. Mix in the marshmallow fluff, salt,and Nutella. Slowly add the powdered sugar, a little at a time, until it has all been incorporated. Add cream as necessary, until a sturdy, fluffy consistency is reached. Fold in the hazelnuts. Once the nougat is made, prepare the buttercreams. Beat the butter on medium-high speed until fluffy. Reduce the speed to medium-low and slowly add the powdered sugar, a little at a time, until it has all been incorporated. Add the salt and vanilla. For the Nutella buttercream, add in the nutella. For the dark chocolate buttercream, mix in the cocoa. Increase the speed to medium-high and beat for an additional two to three minutes, until light and fluffy. Add cream, as needed. 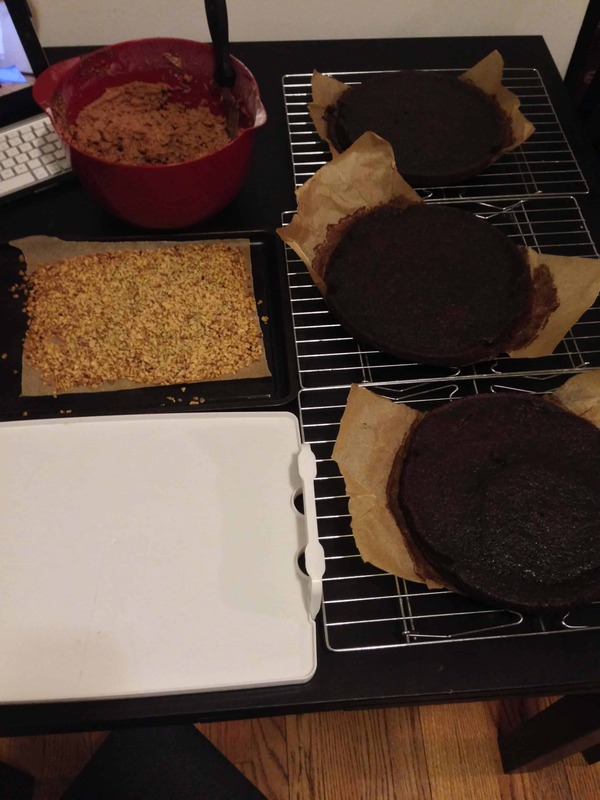 For the cake assembly, place one cake layer on a serving plate. Cover with Nutella nougat, and repeat until all layers are covered. Apply a thin crumb coat of dark chocolate frosting, and let the cake set in the fridge for 30 minutes. 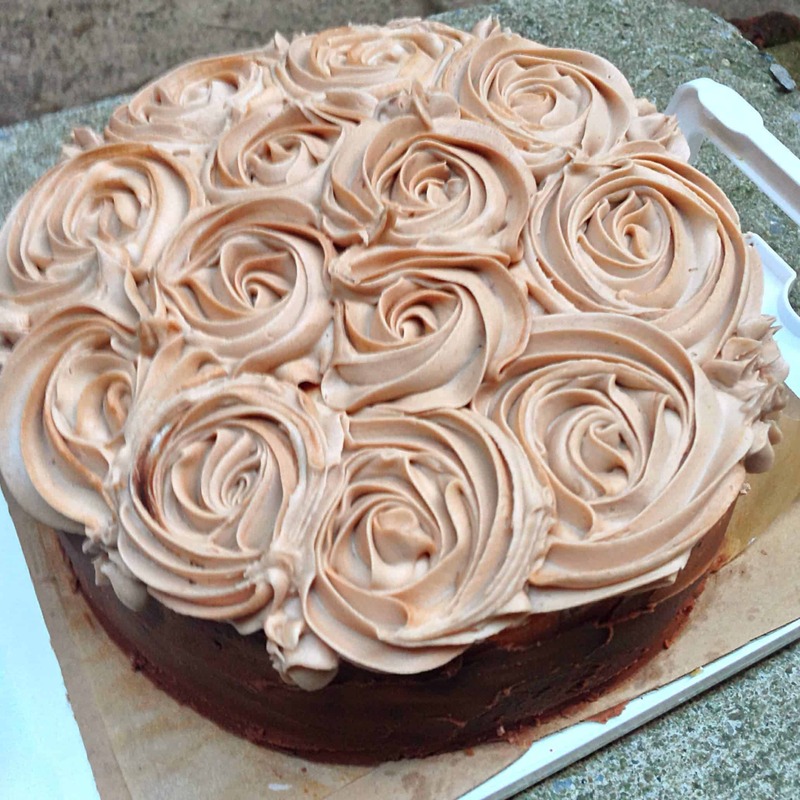 Add an additional layer of chocolate frosting, and decorate the top of cake with Nutella buttercream roses, using a large star tip. I’m ready to order my birthday cake for 2015! Oh whoa. So much Nutella goodness!!! Congratulations on your first cake order!! Great way to start it off with all the Nutella!! I will be sure to make this one! Thanks! Yah I was really happy with the way it turned out. You definitely should!! Ooooh nougat! I’ve been searching for a soft/fluffy nougat to use as a filling for like ever it seems lol! You have no idea how awesome this is, you just made my day!!! I’m always excited for your videos and recipes, thank you for being so generous with your time and knowledge ?????? Adore your style! Super excited to try this recipe, thank you ! I’m making that’s for my sisters baby shower so I’m very excited! Is it OK to make this a couple days in advanced?